i do not feel like cooking. at all. i don’t know why that is, since there’s a ton of great, gorgeous produce at the farmer’s market and summer’s over so i’m going out slightly less. all i know is i get home and try to make excuses to order sushi (the premiere of gossip girl, a busy day at work tomorrow??) but i think it all boils down to having had too much fun and more free time that i was used to this summer. getting back into the regular routine is hard and i’m looking for my evenings to be as easy as possible. which brings me to this recipe, one i used to make all the time when i was living alone in my condo, getting home late from yoga class, or work. easy. you wash a couple of chard leaves, peel an onion, chop them up with some tomatoes and the heat from the stove does the rest. i would throw a fried egg on top only sometimes, to make the meal more substantial, until i really started to miss it when it wasn’t there. the yolk adds a nice richness to the dish and, basically, doesn’t a fried egg make everything better? not that the gorgeous young chard all around these days needs any help. pour couscous into a wide, shallow bowl and cover with boiling water. set aside. in a large skillet, heat 2 tbs of oil over medium-high heat. add the chard stems and onions and stir to coat in oil. add 1/8 of a tsp of salt, stir and let cook for 2-3 minutes until stems and onions start to soften. add tomatoes, wine, tomato paste, sage, 1/8 tsp of salt, 1/4 tsp pepper and simmer for 3 minutes. turn heat down and add chard leaves, and stir through. rake couscous with a fork to separate grains and add to skillet. stir through until all of the grains are well coated in the sauce and taste and adjust seasoning if needed. heat a large non-stick skillet over medium heat, and add 1 tsp of oil. crack eggs into skillet (2 at a time if necessary) and fry (over easy if you prefer). serve chard into bowls and top with a fried egg. sprinkle a little salt and pepper on eggs and serve hot. Couscous! I must try to do a couscous dish. I don’t think I’ve ever had swiss chard before. Weird, eh? I’m a little scared of its bitterness. 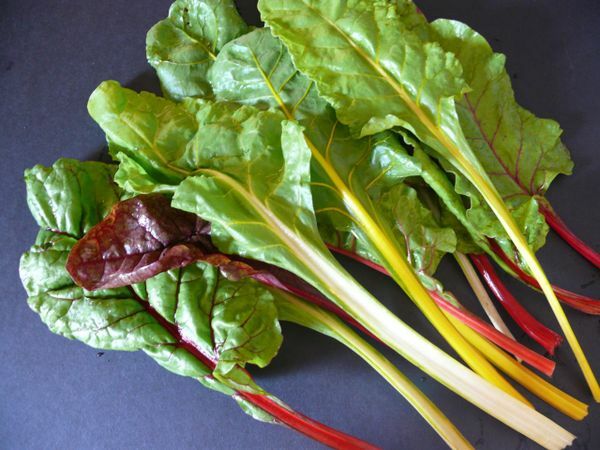 swiss chard is not bitter at all, try it!